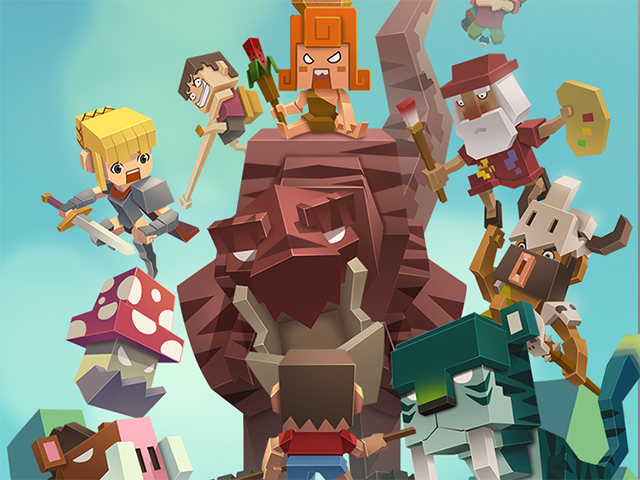 Are you looking for a new mobile game to play this weekend? As usual, there are plenty of new games available for you to try, including Battleborn Tap, a clicker or idle game from 2K. The game challenges players to defeat enemies using a team of heroes called Battleborn. The game also allows users to earn prizes they can redeem in the main Battleborn game on PlayStation 4, Xbox One and PC. In addition, PlayStation Mobile launched a new game this week: Uncharted: Fortune Hunter. The level-based puzzle game asks players to create a path for Nathan Drake to reach the exit in each stage. As they progress, users can earn items they can redeem in Uncharted 4: A Thief’s End on PlayStation 4. If you’re looking for a different game to play, here’s a look at some of the additional games released this week. Pixel Guardians (Free on iOS) – This idle game from SoulGame Entertainment challenges players to protect their home from enemies and bosses by collecting over 100 heroes to join their team. The player’s team attacks enemies automatically, and will earn experience points and gold over time. Gamers can spend gold to level up their heroes, which increases their team’s combined attack power. Users can also spend gold to add new heroes to their collection. When players think their team is strong enough, they can challenge the next boss in line for a chance to receive a large experience point reward. In addition to single-player gameplay, users can challenge other players’ teams in the game’s arena. Pixel Guardians is coming soon to Android. Paintball Rush (Free on iOS) – This endless survival game from Crispybit asks players to tap on moving paintballs that are a different color than the pipes at the top and bottom of the screen. As players tap on paintballs, additional pipes and groups of paintballs are added to the screen. As games progress, players may tap special paintballs that change the color of the pipes. Gamers can also tap on stars as they play, and can spend these on new gameplay themes. Users can watch video ads to multiply the number of stars they earn in each game. Pelé: Soccer Legend (Free on iOS, Android) – This level-based soccer game from Cosi Games stars soccer superstar Pelé, and allows players to follow Pelé’s footsteps from the streets of Brazil to the professional leagues. In each level, players swipe on the screen to take shots at a goal. Each level asks players to complete one or more objectives, like hitting bullseye targets with the ball or earning a specific number of points, as examples. Gamers have a limited number of shots available to complete each stage. In addition to a single-player campaign, users can compete against other players in one-on-one matches. The Aetherlight: Chronicles of The Resistance (Free on iPad, Android tablets) – This role-playing adventure game from Scarlet City Studios retells the story of the Bible in a Steampunk world. The game sees players join the Resistance and work with the Scarlet Man in a quest to defeat the evil Usurper. Gamers will solve puzzles and craft objects as they complete quests, and will also battle enemies in turn-based battles. Social features allow users to fight in other players’ battles, as well as share clues and tips with other players. The Aetherlight: Chronicles of the Resistance offers around an hour of free play to users, with additional content episodes being available to purchase for $9.99 per episode. The Aetherlight: Chronicles of the Resistance is also available to play on PC. Neon Alien: Epic Runner (Free on iOS, Android) – In this side-scrolling running game from Neon Alien Studios, the player’s character moves across the screen automatically, and players must tap to jump between platforms. Users can tap again while in the air to double jump and cross larger gaps. As games progress, users can pick up neon power-ups which allow them to pass through colorful vertical lines on the screen. Specifically, these power-ups will change the alien’s color, and players will need to cross the vertical line in the area that matches their character’s color. Games end when players fail to reach the next platform, or fail to cross the vertical line in the right area. Chibi Maruko Chan Dream Stage (Free on iOS, Android) – This line-drawing puzzle game from Animoca Brands and Nippon Animation is based on the Chibi Maruko Chan anime. The game asks players to draw lines to connect groups of three or more matching symbols to remove them from the screen. Gamers are challenged to earn as many points as they can in each game before time runs out. Before each game, players can purchase bonuses which may add more time to the clock, or increase the amount of currency they’ll win in the next game, as examples. As players progress, they can unlock 21 characters from the anime series. Rocket Beast (Free on Android) – This level-based puzzle game from Brutal Studio asks players to defeat enemies in each stage using missiles. Gamers can control their missiles as they fly, and users may need to help their missiles avoid obstacles, or use portals and boosters to reach every enemy in a level. If users need help, they can purchase power-ups including slow motion potions, missile power-ups and more. Rocket Beast is coming soon to iOS. Pop Rocket Rescue (Free on iOS, Android) – This puzzle game from Guru Arcade asks players to rescue creatures called Fizzies by stacking blocks until they touch the Fizzies floating in space. In each level, players can drag a limited number of blocks onto a platform to create a tower to reach the Fizzies. Blocks come in different shapes and sizes, and users can rotate blocks to create a stable tower. As players progress, they’ll encounter eight kinds of Fizzies, with some having special powers. For instance, one Fizzy will draw other Fizzies closer to the tower when it’s rescued. Pop Rocket Rescue includes 80 levels to complete. Carneyvale: Showtime ($1.99 on iOS, Android) – This level-based game from Appxplore asks players to help Slinky the puppet navigate circus-themed environments, with the goal of reaching the ring of fire in each stage before running out of time. During each level, users can move Slinky toward the ring of fire using circular nodes on the screen. Users may also be able to interact with additional props, such as tunnels and rockets. Gamers must watch out for fire and electrical hazards as they play. Spike Bros (Free on iOS, Android) – This endless survival game from Planet of the Apps challenges players to survive as long as possible by tapping to help their character jump over spikes. The character runs back and forth across the screen automatically, and players must tap to jump over spikes that appear on the screen. Gamers can collect currency as they play, which can be spent on new playable characters. Users can also spend currency to revive their character once the game ends. Give Me Sweets ($1.99 on iOS) – This level-based puzzle game from Kidari Sweets asks players to help a boy, a girl and a dog collect the last 70 sweets in a world where sweets are banned. In each stage, players tap to move the three characters around the screen, and users can move each character individually to complete different tasks. Users may need to press buttons, avoid guards, collect keys and more to reach the piece of candy somewhere in the stage. Levels end when all three characters successfully reach the candy.